Joshua Tree has been at the top of my bucket list ever since I moved to California five years ago. 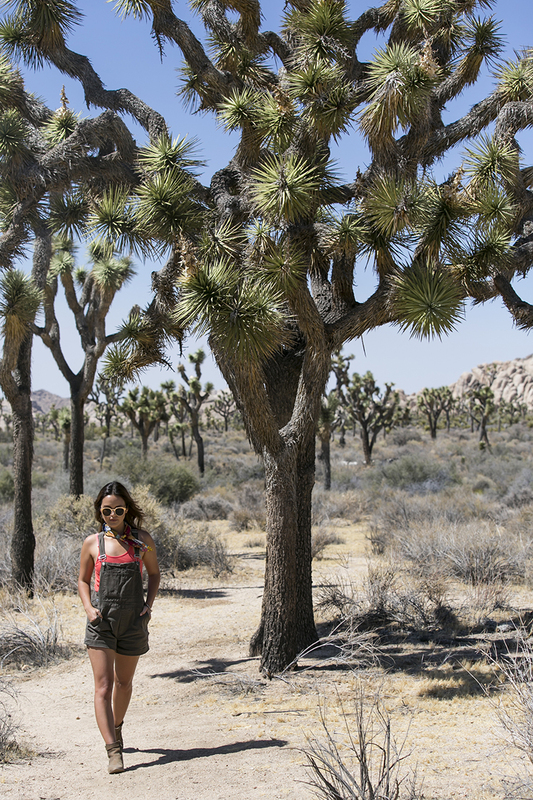 I heard stories from friends who camped amongst the enormous rock formations and whimsical Joshua trees about feeling like they had been transported to “another world”. This summer, my boyfriend and I scheduled our own interplanetary weekend getaway so that we may experience this other dimension ourselves, albeit opting to stay at an AirBnB equipped with AC and a hot tub in the nearby town of Twentynine Palms. Before our trip, I picked up these amazing Bill Blass khaki overalls from an upcycled vintage stall at the Silver Lake Flea Market. Just another example of how trends have a tendency to be resurrected over and over again. I had a pair of overalls similar to these in the third grade that I remember donning with a chocker and flatform sneakers (also totally back). Almost immediately upon arrival to the park, I knew exactly what my friends had meant. Driving in, the once flat desert terrain surroundings are suddenly strewn with piles of prehistoric rock. Around every turn, the Joshua tress seem to get taller and more eccentric, their branches unabashedly stretching out in every direction. We arrived at a hiking area in the Hidden Valley. 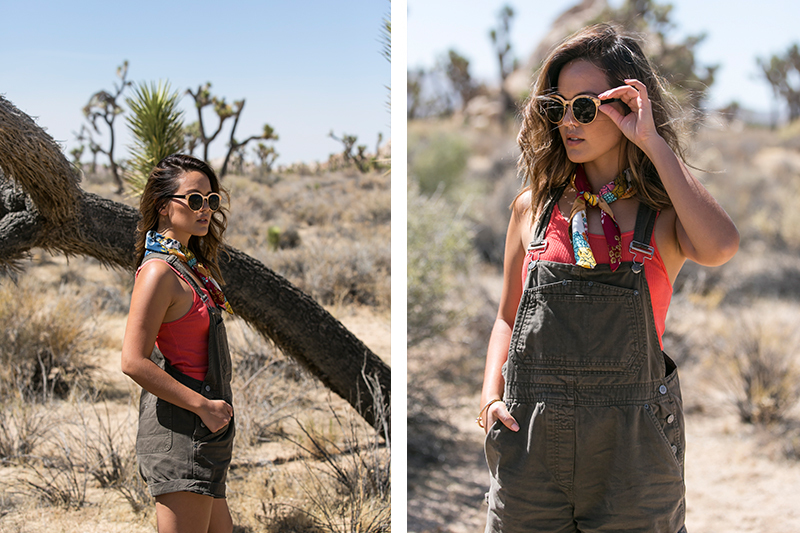 This time round, I styled my overalls with a floral neck scarf and leather booties, perfect for all of the scrambling I did over the giant boulders to reach the top. The great thing about buying clothing that’s second-hand is that you’re free to have some fun in them. 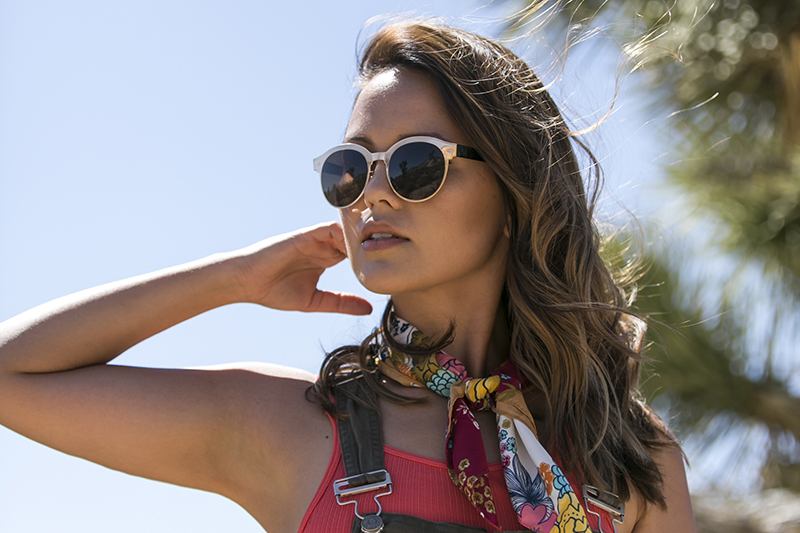 As I looked out over the mystical desert vista, I wasn’t sure that I felt transported to another planet, but I did know one thing: my eco-friendly outfit was on point.